Starting childcare in Alpharetta can be a tough transition for some children. For many kids, this will be the first time they are apart from their parents for significant periods of time. Luckily, there are many things you can do as a parent to help them prepare for this transition. In this blog, we will cover a few effective tips that can help you prepare your child for daycare. 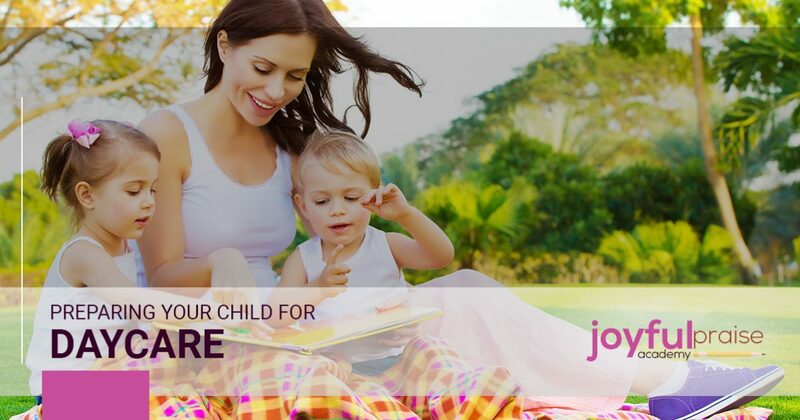 When you’ve finished reading today’s entry, be sure to get in touch with Joyful Praise Academy to learn more about how we can help your child prepare for their future in a nurturing and faith-centered environment. We have infant, toddler, preschool, and school-age programs that can provide your child with the education they deserve! Before their first day, visit the daycare with your child to help them become familiar with the building and classrooms. Make sure to do this when you have plenty of time to visit so that you are not rushed or stressed. You want your child to associate the daycare center with positivity, so make sure that you’re excited and optimistic as you show them around. A few weeks before it is time to start daycare, adjust your child’s sleep schedule so that they are used to waking up with plenty of time to spare. It can be difficult for children to adjust to a morning routine, especially if they haven’t had much structure prior to the first morning of daycare. Start a new morning routine so that when the time comes for their first day, they are fully prepared for what to expect. Don’t forget to talk with your child about their feelings and experiences. This is one of the first big transitions they will go through in their life, so help them understand everything that this change entails, and listen to any concerns they bring up. If they’re having a difficult time adjusting to their new routine, then don’t hesitate to bring your child’s needs to the attention of our staff. We all remember the excitement of getting a present on a day that wasn’t a special holiday. Your child will need certain items for school, so consider presenting each new outfit, backpack, a pair of shoes, or another back-to-school item as a special gift to get them excited for the big day. 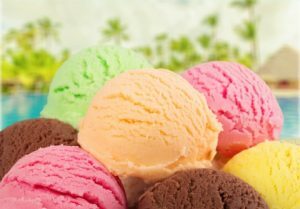 If they’re having a tough time adjusting to daycare, then consider treating them to a new toy or taking them out for ice cream to cheer them up. While you can’t always rely on giving your child gifts to cheer them up, a small treat here and there can do wonders for their attitude. Sending children to daycare can be tough for the parents, as well. Take time to prepare yourself for this new period in your life. This is likely the first time that you’ll be away from your child for an extended period of time, and we understand that this can be difficult. Bring any concerns that you have to the attention of our staff and we will gladly help you find a solution. At our Alpharetta daycare, our mission is to help both you and your child adjust to this new routine as quickly and smoothly as possible. We hope that today’s post will help you as you and your child prepare for their first morning at daycare. With a little bit of preparation, your child will be ready to tackle daycare head on. Keep an eye on our blog page, as we’ll continue to provide you with additional tips for helping your child adjust to this new life change in future posts. Joyful Praise Academy is proud to be the Top Rated Local® childcare center in Alpharetta. We would love to provide you and your child with a tour, so get in touch with us today to schedule yours!